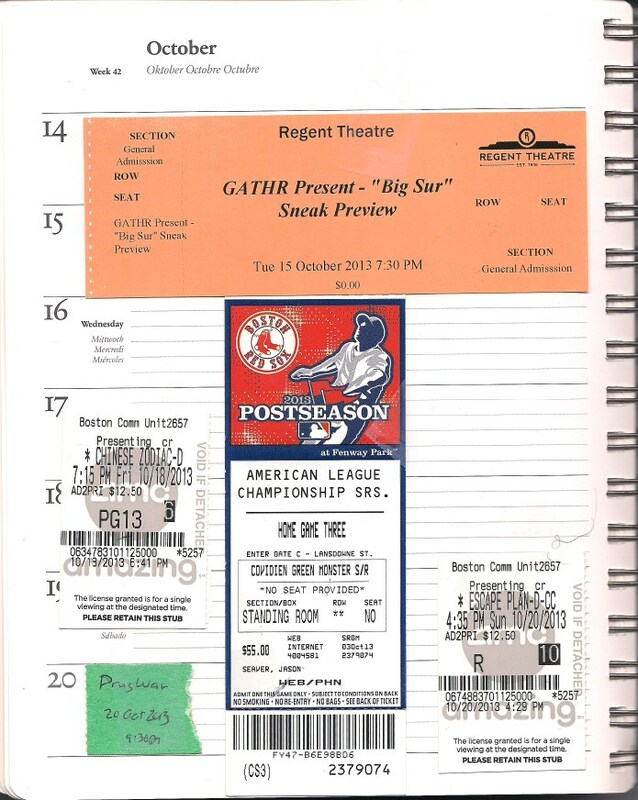 Ask anybody; I was the optimistic guy in every conversation about the Red Sox last year, but I sure as heck didn't expect to have any of their tickets in my scrapbook during mid-October. Sometimes things turn out pretty good, though, and you have to put the movie-watching on hold. Of course, sometimes you wind up catching some bug over the weekend, coming home from work early on Monday because you literally can't stay awake at your desk, and then moving through a Tuesday of working from home like a highly unproductive zombie before something finally kicks in and you decide that you might just be up to using that Gathr season pass you paid for. Hopefully I didn't pass whatever illness I had on to too many people. The movie was Big Sur, a not-too-bad adaptation of Jack Kerouac's novel by Michael Polish. I've got more interest in Polish than Kerouac, and that's pretty much how my enjoyment of the movie went. I stayed home to watch baseball for the rest of the week, and then used the off-day on Friday to hit Chinese Zodiac, the latest from Jackie Chan. He's certainly done worse, but this one was kind of a mess, as Jackie's age, blockbuster ambitions, and interest in playing to multiple fanbases collide in such a way as to occasionally hide that there's some decent Jackie Chan action under the noise. As kind-of-disappointing as Chinese Zodiac was, I did have a good time, both it and two other movies that would make a reasonable double feature with it (though they're not exactly a perfect Sunday double feature themselves). Escape Plan is a slight but enjoyable "old guys still have it" movie with Stallone & Schwarzeneggar, maybe a bit lighter on the action than one might hope for but with a fun cast. Drug War was another recent Chinese hit, but Johnnie To's latest is just as good as I expect from To, and certainly holds up to a second viewing after having caught it at Fantasia. The game itself? Pretty nerve-wracking for a while; Buchholz was good, but then the inning turned over with a reminder that Scherzer and the Tigers are also, in fact, really good. We didn't even get to enjoy the one-run lead from Bogaerts's double and Ellsbury's single for long before Buchholz hit the wall and Morales made things worse. 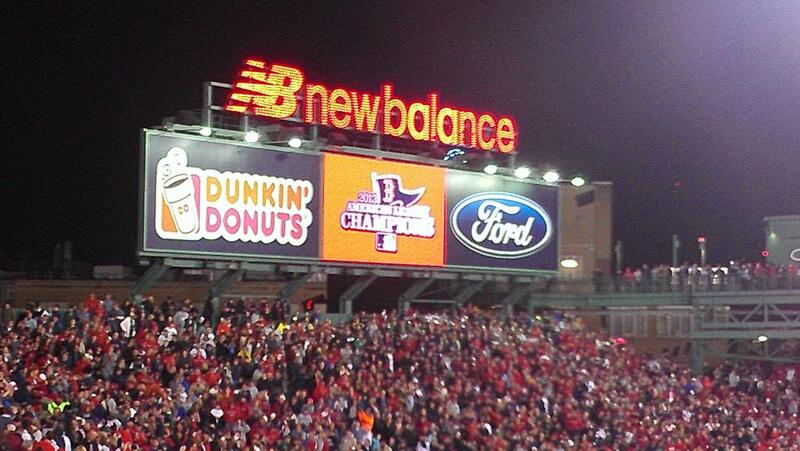 But, bottom of the second, Victorino got one over the other side of the monster, and the crowd went bananas and didn't stop until the game was over, the awards were given, and... well, it was still nuts when I was halfway home at quarter of one or so. 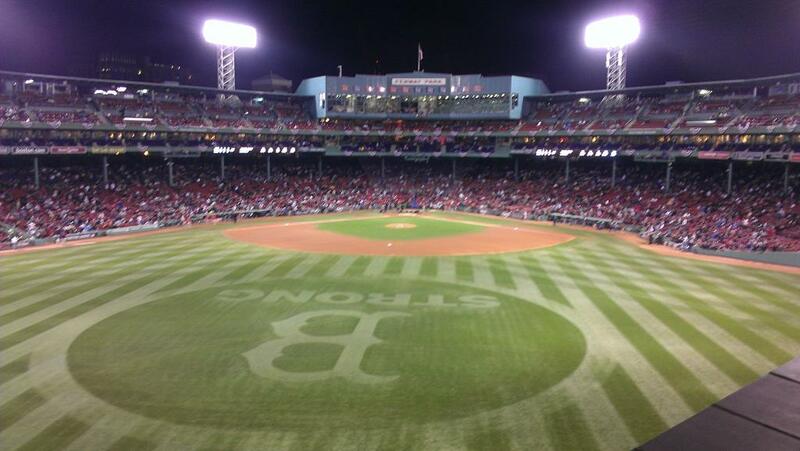 These are the first playoff games I've been to, and they've been a blast. I've been fortunate enough that all three games I got tickets for have been close wins, so there was never any chance of the crowd being less than enthusiastic, but the experience is highly recommended. The regular season is great because, hey, it's baseball, a good thing to have 1/3 to 2/3 of your attention while hanging out with friends or family, and while it sometimes develops into living and dying on every pitch, these have been like that from the moment the Dropkick Murphys finished singing the National Anthem and the Fenway Anthem ("Shipping up to Boston", complete with young ladies doing Irish step-dancing), straight through to seeing Pedroia start a crazy double play that ended with Prince Fielder flopping down like a panda and then all the way to the Japanese father and son next to me going extra-special crazy when Koji Uehara struck his first batter out. World Series starts tomorrow, and it's going to cut into some more of my movie-watching, but I can catch up on that later. Of course, it doesn't help that this is the moment when the movie decides to serve up the first member of what should be a really fun cast who seems to be overselling it. That would be Vincent D'Onofrio, playing Breslin's partner in a security consulting firm like he's decided that every other character he's ever portrayed just wasn't eccentric enough. He probably should have switched places with Jim Caviezel as the warden of the super-secret black-book prison that Ray is sent to test (only to be locked away for good) - the character who needs to be kind of squirrelly is loopy while the one who needs to be a sadistic maniac is just a bit off.. Sam Neill, Curtis Jackson, and Amy Ryan show up and seem like they should be doing a bit more; I suspect that at some point director Mikael Hafstrom looked at Ryan and Stallone standing next to each other and couldn't decide whether they should be lovers or father and daughter and just backed off. Only Vinnie Jones really delivers exactly what the movie knew it needed when it cast him - good, straightforward, angry thuggery. So what makes this work? Arnold Schwarzeneggar. For somebody who has been wasting away in a secret prison for who knows how long, Arnie's Eli Rottmayer is a surprisingly chipper fellow, managing to carry actual banter with Stallone despite Sly not really being that good at it. It's practically a sidekick role, something that would have seemed absurd for him back in his heyday, but he carries it off pretty well, hilariously chewing scenery in German in one of the movie's most memorable bits. Of course, in one of its other most memorable bits, Hafstrom and company seem to suddenly remember why people buy tickets to movies with these guys and have him pick up a gun that is normally meant to be mounted and start getting rid of a whole bunch of thugs. It's maybe not a top-tier climax, but it's an acceptable one, and similarly leads to a coda that made me smile for all its obviousness. I do sort of wonder if the not-quite-brute-force finale indicates that this movie was originally meant for stars who were, well, not Sylvester Stallone and Arnold Schwarzeneggar. There's an idea dancing around this movie - a lock-them-up-and-throw-away-the-key guy coming to realize that America's prison industry is ethically very problematic - that maybe someone less conservative than these guys could have run with. Given that Drug War managed to turn up a pretty good audience for a Sunday night even after its home video release, it's a shame that it didn't get a chance to have a Boston release before that, when it presumably would have done even better. There may not be a huge audience for Johnnie To here, but there's a decent one. Especially since this latest movie hasn't diminished much in my eyes at all since I first saw it in July. On a second viewing so relatively close to the first, I was maybe a little too cognizant of what was going to happen without getting an extra boost from seeing the structure more clearly, but I was even more impressed with Sun Honglei - the Mainland Chinese star really does a fantastic job of portraying a chameleonic character that nevertheless connects with the audience. And I still love "Crystal" Huang Yi as his lieutenant Xiao Bei; she didn't bowl me over as badass quite so much the second time through, but she looks like someone To can get a lot of use out of. Anyway: New Johnnie To crime movie, as good as expected, out on DVD & Blu-ray. You want it and you know it.